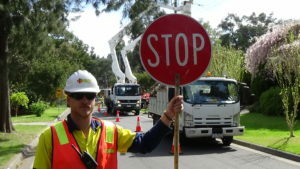 Servicing both large and small companies in Melbourne Metro, Regional Victoria and Tasmania for all Traffic Management needs. At ATC Traffic we pride ourselves on providing a safe and quality work environment for our clients, our staff and the community. We are experienced within the Traffic Management field, we know what our clients want and need, we know how to keep our community and workers safe and we strive to provide an exceptional service every day. We have earned a strong reputation within the traffic management industry when it comes to safety and quality by developing our systems and procedures over time. Our approach to Traffic Control is second to none; we place a large emphasis on safety and quality throughout our entire workforce and act compliantly with all road authority standards. We take immense pride in our work on every job and are leading the way in the industry. If you would like to join our team, you can apply below. Please read the Information Pack to ensure you have all of the required qualifications before applying.